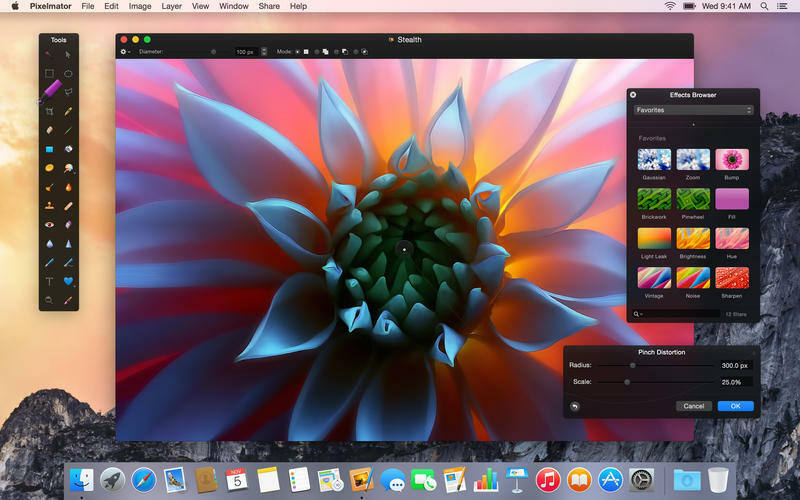 Pixelmator for OS X, the Mac edition of the powerful image editing application which debuted on iOS in October 2014, has gone half price in the Mac App Store today. 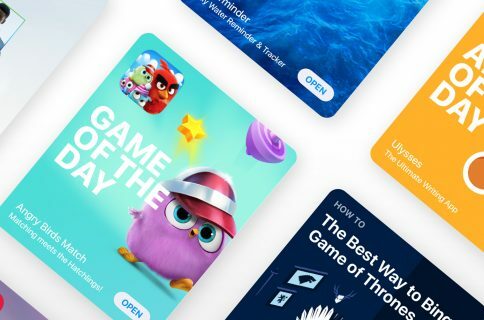 In addition, the iPhone, iPod touch and iPad edition of the software has been discounted to just $1.99 in the App Store. Selling regularly for $29.99, Pixelmator for Mac can now be downloaded for just $14.99, a steal given the app’s rich set of powerful image editing features, tools, brushes and more. Pixelmator sports full support for OS X El Capitan and iOS 9’s Split View mode so you can use it with another app in El Capitan’s new side-by-side multitasking mode. 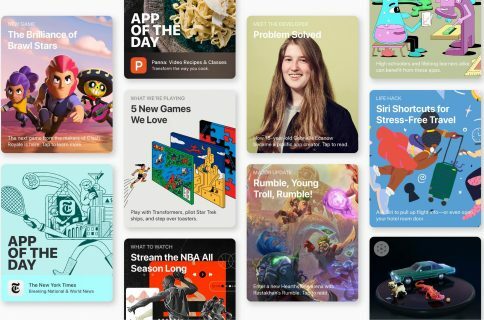 In its most recent update, the app introduced a brand new extension for Apple’s stock Photos app that lets you edit images within Photos, using Pixelmator’s Metal-based Distort tools. Other features include support for layered Photoshop files and Force Touch trackpads, a bunch of pixel-accurate selection, painting, retouch and drawing tools, a real-time effects machine, iCloud document sync and much more. As for Pixlemator for iOS, the app was recently updated with support for 8K canvases, the ‘Open In Place’ feature, full support for iOS 9’s new multitasking modes on the iPad Air 2, iPad mini 4 and iPad Pro, a new Dynamic Touch feature and more. Pixelmator for Mac requires an Intel-based Mac with OS X 10.9.5 or later. Pixelamtor for iOS requires an iPhone, iPod touch or iPad with iOS 9.0 or later. 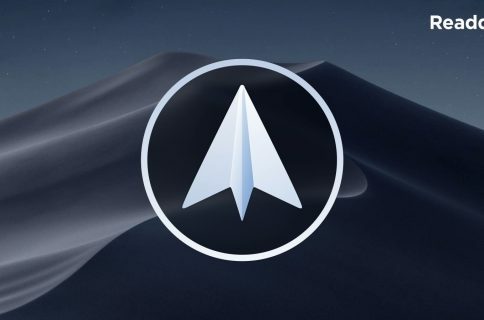 The Mac app is localized in English, French, German, Italian, Japanese and Spanish while its iOS counterpart is available in English, French, German, Italian, Japanese, Korean, Portuguese, Russian, Simplified Chinese, Spanish and Traditional Chinese. Grab Pixelmator for Mac for $14.99, a fifty precent discount. Pixelmator for iOS is currently $1.99 in the App Store, down from $4.99.